Next: What are Tech Trust Angels? Manchester to invest £250,000 on solar-powered smart bins. Manchester City Council is set to spend £250,000 on high-tech, solar-powered smart bins that can take in more rubbish and automatically notify contractors when they need to be emptied. The move comes weeks after Biffa, the council’s bins contractor, was slammed for allowing litterbins to overflow and streets to accumulate in filth. The council has considered buying the smart bins five years ago but ultimately decided to invest in traditional bins instead. At that time, the council bought 600 new, larger public bins for £500,000. The funding came from a £14.8million pot of cash from its stake in Manchester Airport. Traditional bins that are currently being used in busy areas of Manchester will be replaced by 51 smart bins. 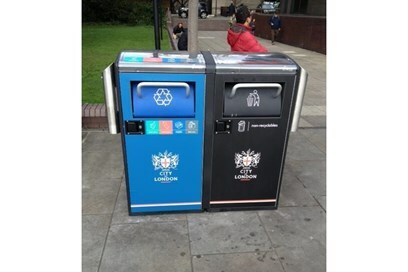 Coun Rabnawaz Akbar said: "We are currently making plans for a major investment in new, solar-powered smart bins, which will greatly enhance waste capacity for the busiest city centre areas. “This will make the best use of the latest technology to make sure that there is never any excuse for dropping litter on our streets." Meanwhile, Biffa said: "We will continue to work closely together to deliver improvements through innovative and agile ways of working; to address the changing demands on the service and effect positive changes in the city centre."